This heavenly design is delicate and refined with exquisite detail. It features a dazzling crown with a heart-shaped center, accented with two bright CZ's and pretty, heart-shaped silhouettes. 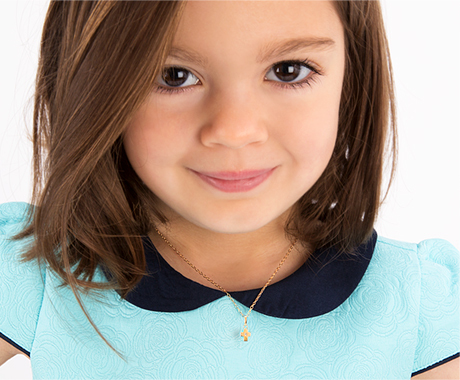 This children's ring has an ethereal beauty that is undeniable, a must-have for your little angel. Ordered this ring for my 5 year old daughter and she absolutely loves it! She loves that it fits her finger and she can wear it all the time. I received it two days after I ordered it and it was packaged beautifully! It came in it’s own little ring box and that was the “icing on the cake” for my daughter. Very happy with my purchase. I’d buy it over and over again!